That also includes well design and meeting federal obligations. The 3,500 well project is nearly all on public land. Jonah's Paul Ulrich said the goal right now is put together a larger development plan. That will start with drilling around ten wells. "Our learnings from this year's exploratory program will lead to a measured increase in what we're looking at next year and beyond," Ulrich said, leading to larger and larger production numbers. Ulrich said the company has also spent the winter doing baseline work for a multi-year study around sage grouse winter concentration areas. And now, he said they're taking steps forward to drilling when the weather improves. 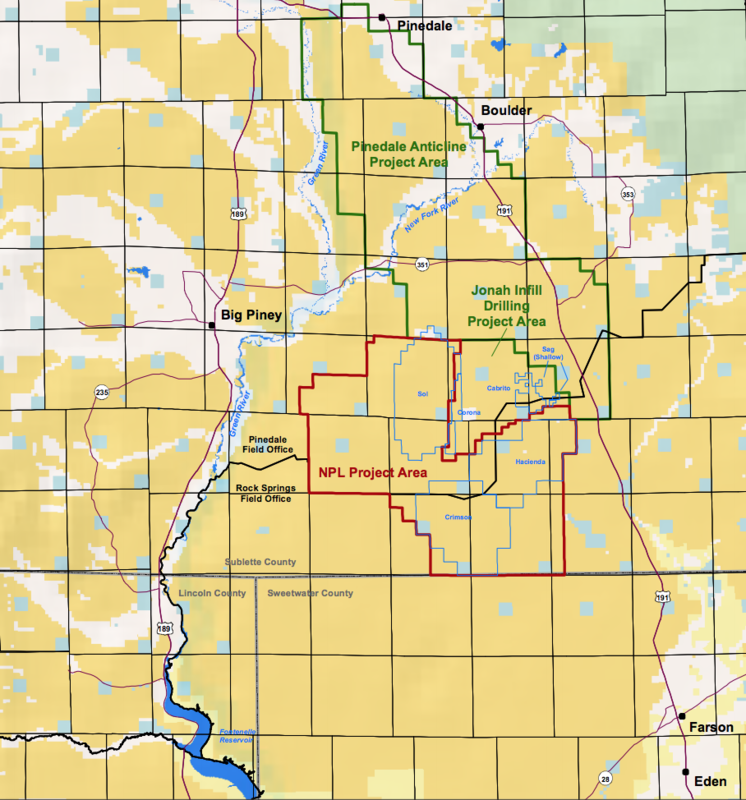 "We've got a lot of work to do to truly understand what resources are in that particular acreage and that's going to take a very measured approach with limited wells," he said. Ulrich said they're still getting all the reviews they need from the Bureau of Land Management and haven't submitted all its requests for applications to start drilling. Some environmental groups are skeptical of the BLM's transparency in releasing environmental reviews of relevant applications for permits to drill. The project's faced controversy over its intersection with sensitive wildlife habitats including sage grouse and pronghorn.